Why didn’t he go home? The young Frenchman – so far a dark horse in high-altitude mountaineering – announced that he wanted to reach the 8125 meter summit solo and in alpine style, and afterwards would snowboard down. He later described in his blog more often, how bad his health was. 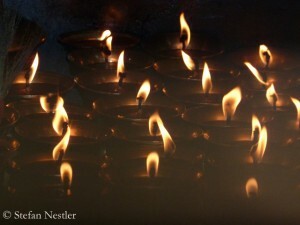 „Today, I’m losing blood from my intestines. It’s great…”, Joel wrote on February 3, adding that he knew how to handle it. He ignored the logical consequenz of ending the expedition: „I prefer to stay here, even in storms, till the last moment.” On February 6, he wrote a last short post in his blog. Then he disappeared. Was it hubris, arrogance or loss of reality that did cost him his live? Or was he finally just unlucky? Probably we won’t get answers to these questions regarding Joel. 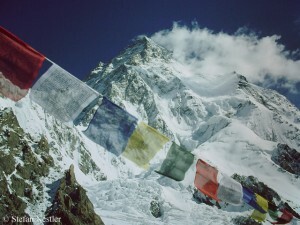 But maybe we get a clearer view in the case of the two missing Polish climbers on Broad Peak. Adam Bielecki and Artur Malek, who summited the mountain on March 5 together with Maciej Berbeka and Tomasz Kowalski, later returned to basecamp safely. After their return from Pakistan Adam and Artur maybe can answer the questions which came into my mind: Why did the four climbers reach the summit between 5:00 and 6:00 p.m. local time, so late that they were forced to descend into the dark? Why did they separate? Why did Berbeka and Kowalski need almost eight hours to reach the pass on 7900 meters, three times longer as usual. Why didn’t Berbeka use his walkie-talkie? Why didn’t they have a light tent for bivouacing? But in the end there will be left room for speculation – as in winter 2012, when the Austrian Gerfried Göschl, the Swiss Cedric Hählen and the Pakistani Nisar Hussein disappeared on Gasherbrum I. Too often climbers in the Himalayas and Karakorum take the secret of their fatal accident to the icy grave. The drama on Latok I continues. Another day has passed on which Alexander Gukov is trapped on the North Ridge of the seven-thousander in the Karakoram without any help. 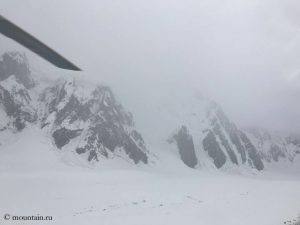 Like throughout the weekend, thick clouds today prevented rescue helicopters from approaching the site at around 6,200 meters, where the 42-year-old Russian climber has been staying since Wednesday last week – without food or equipment. 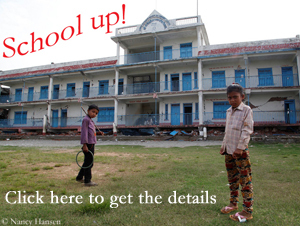 Put the eight-thousander glasses aside! 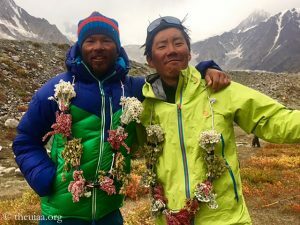 At an insignificantly lower mountain in the west of the Karakoram in Pakistan, two Japanese climbers succeeded an extraordinary ascent on 22 August. According to the International Climbing and Mountaineering Federation (UIAA), Kazuya Hiraide and Kenro Nakajima climbed for the first time via the Northeast Face of the 7611-meter-high Shispare.